Easily add authentication, secure back ends and APIs, and manage user-specific data for your mobile and web apps. 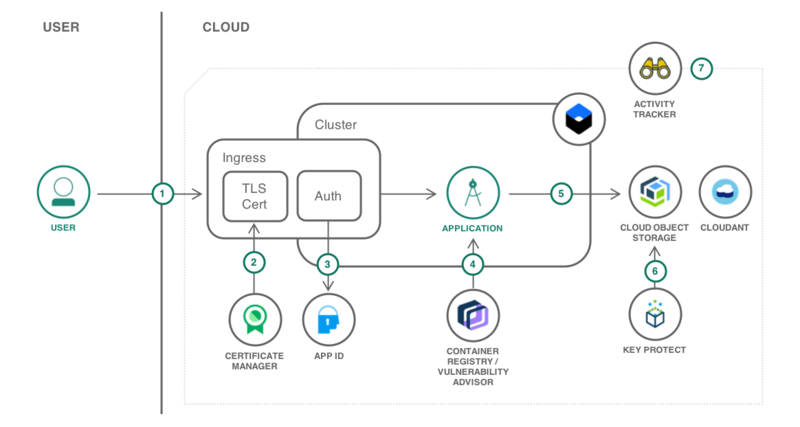 IBM Cloud™ App ID helps developers to easily add authentication to their web and mobile apps with few lines of code, and it helps them secure their cloud-native applications and services on IBM Cloud. App ID also helps manage user-specific data that developers can use to build personalized app experiences. Add email/password login, social login, or enterprise login to your apps with APIs, SDKs, pre-built UIs or your own branded UIs. Enable app users to sign up and sign in with email and password, verify their email, reset/change passwords and more. Store user preferences and data, which you can leverage to build personalized app experiences. Secure your apps, back ends and APIs. Easily add standards-based authentication (OAuth 2.0, SAML, OIDC) — no security knowledge needed. Scale to many users, who can sign up for your app and self-service their accounts. Tailor your apps for individual users with an easy way to collect and access user preferences and user data. A managed Kubernetes offering to deliver powerful tools, an intuitive user experience and built-in security for rapid delivery of applications that you can bind to cloud services related to IBM Watson®, IoT, DevOps and data analytics. A polyglot functions-as-a-service (FaaS) programming platform based on Apache OpenWhisk for developing lightweight code that scalably executes on demand. Start your project with apps pre-built for the cloud. Secure access and identity for cloud-hosted applications to build trust with your users. Getting started with App ID is easy. Visit the IBM Cloud catalog for step-by-step instructions.